Experience the roaring sounds of the fastest, meanest, most powerful Sports, Cruising, Touring and Off-Road Bikes from around the world! 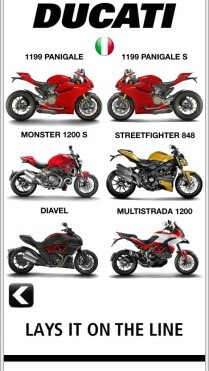 Listen to over 200 different motorbikes from the Suzuki GSX 1300R Hayabusa to the Yamaha YZF R1 to the Ducati 1199 Panigale S! 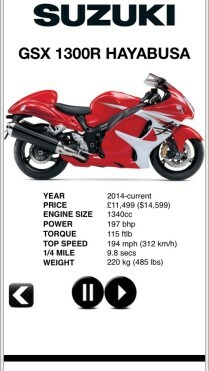 Any motorbike you can think of is just a tap away! This is truly the most epic motorcycle engine sound experience on your iPhone! 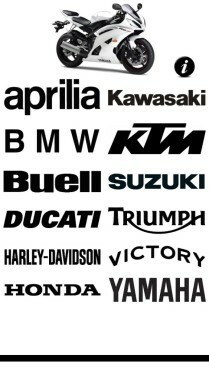 A superb collection of brands including Aprilia, BMW, Ducati, Harley Davidson, Honda, Kawasaki, Suzuki, Yamaha, Triumph and more! Experience Motorcycle Engines for yourself and see what all the fuss is about! Try it now for free! 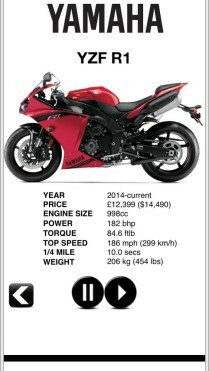 Very cool app, especially if you are after getting a bike, gives you all the quick specs that would help you out with your decision and the best thing is you can listen to all of the engines as well! The soul of a bike – The soul of a bike lies in the guts of its engine, in the sound of it. 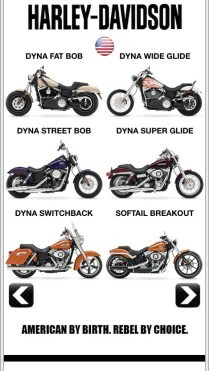 This fine app lets you hear the growl or howl or whine of each motorcycle!